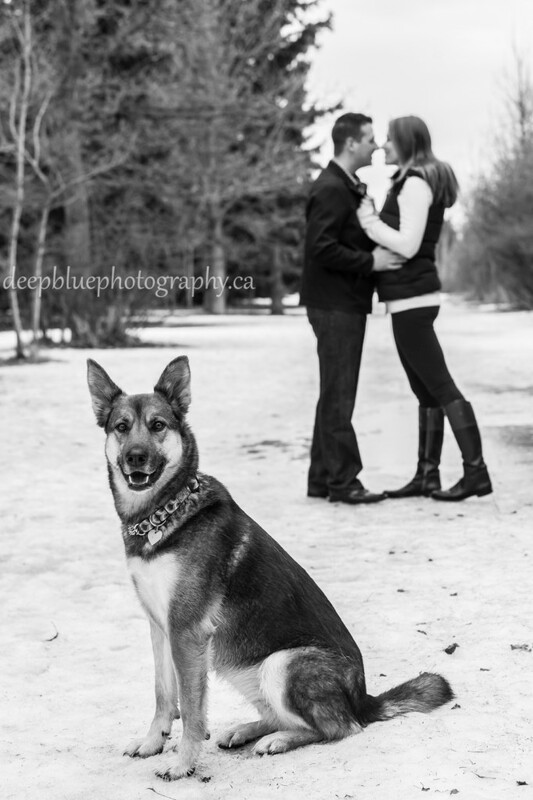 Engagement Pictures With A Dog! 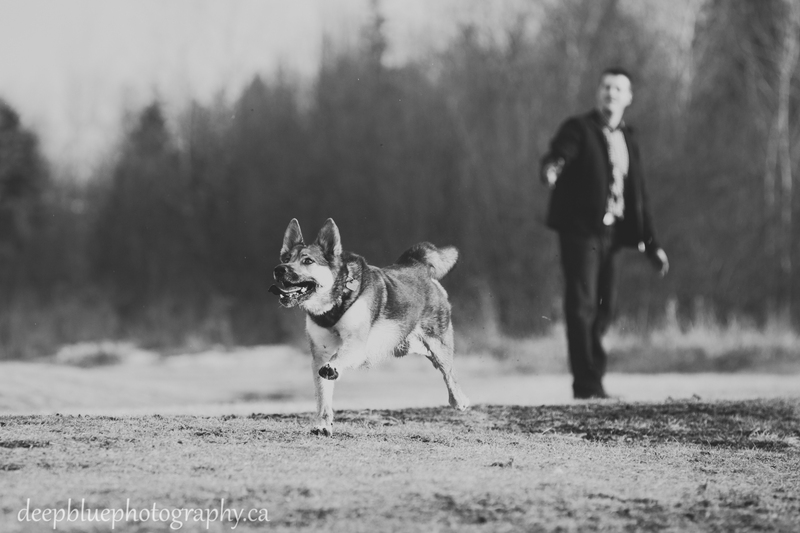 Krystina and Devin brought their beautiful dog Joni along with them for their spring engagement photography session at Edmonton’s Belgravia Off Leash Park. 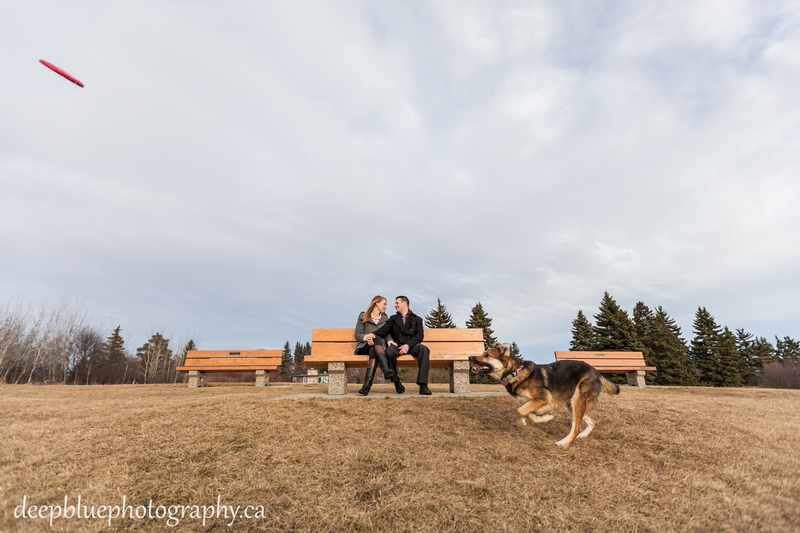 It was a beautiful spring afternoon in Edmonton for an outdoor engagement pictures with a dog!Jess first met Krystina at the University of Alberta when they both lived in student residence. They finished their degrees and Krystina moved away. She lived and worked in both Germany and Toronto before coming back to Edmonton. It was at this time that her and Jess reconnected over coffee and yoga. It was also when we first met Devin & his dog Joni. Devin & Joni’s story is very similar to ours with Bella and all 6 of us hit it off right away. It was very clear to see that Devin and Joni had adopted Krystina into their pack. 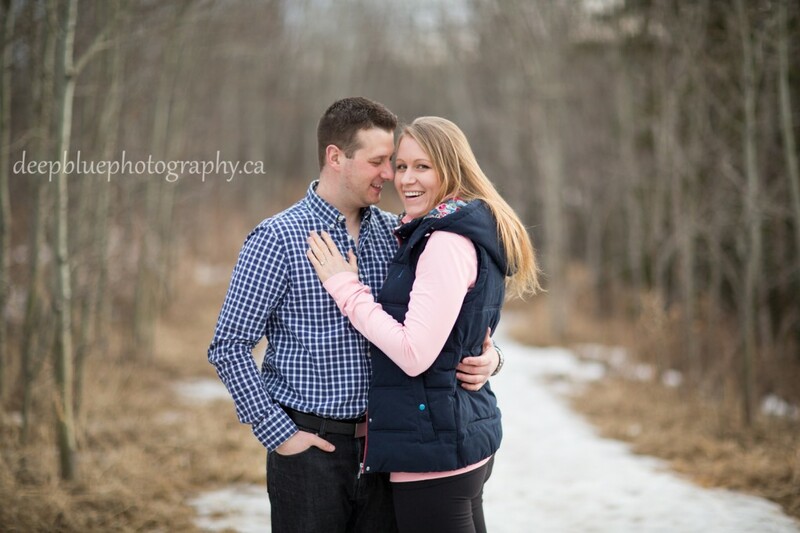 When they told us they had gotten engaged and were planning a destination wedding we were ecstatic! We have spent countless hours with Devin, Joni and Krystina playing board games, watching hockey, going to the dog park and just generally hanging out. 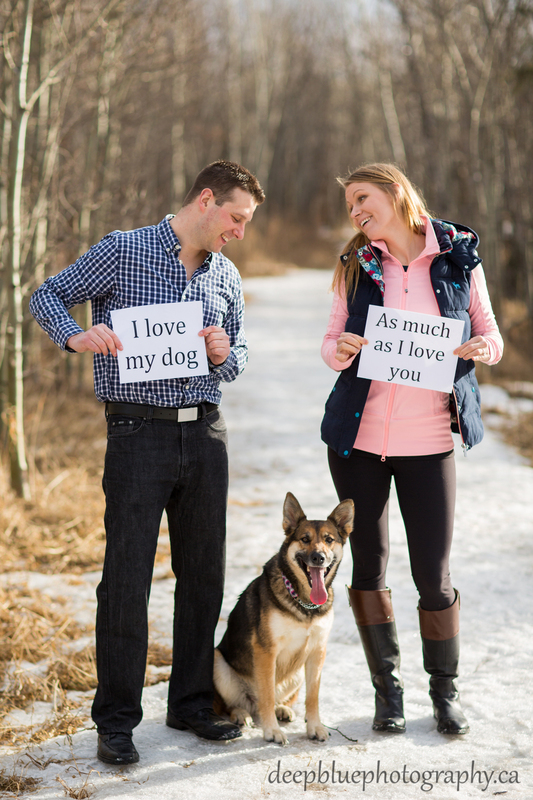 It was a little strange to schedule time with them for an engagement shoot since the session was essentially the same thing that we all did on a regular basis with our dogs anyways! 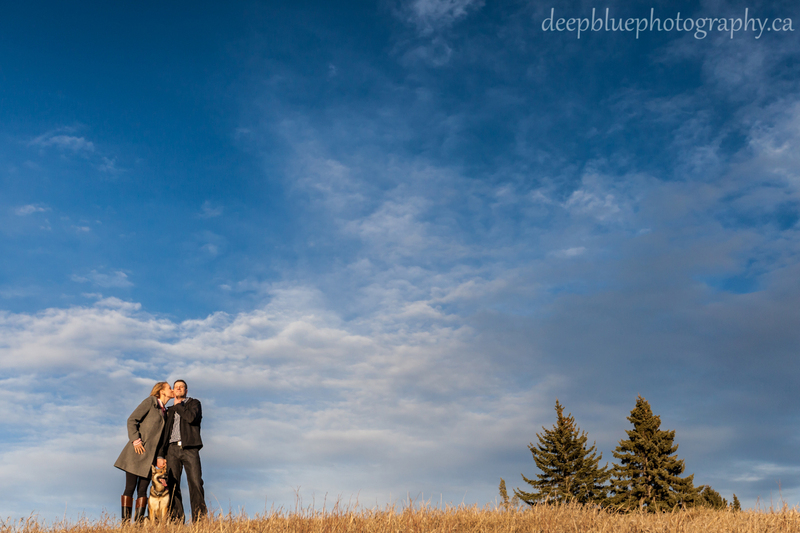 It was a lovely afternoon to photograph love. Love for each other and of course, love for their dog. 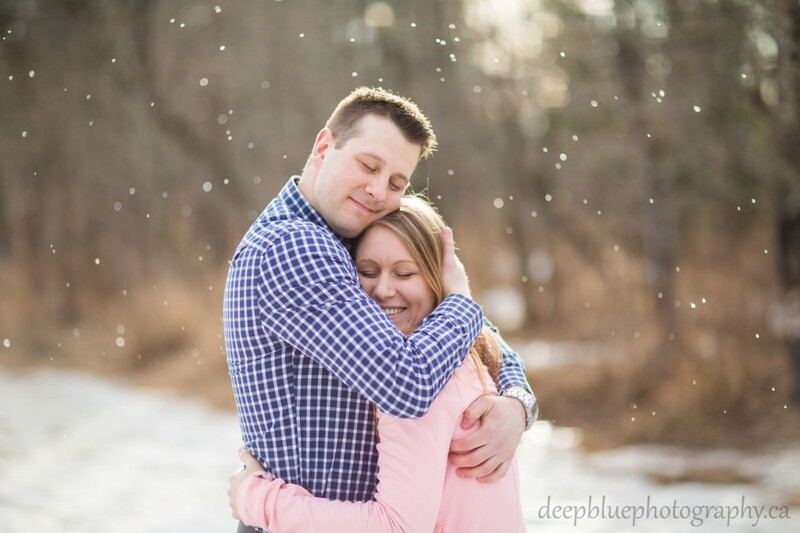 These two are so adorable and easy going that it hardly seemed like we were “going to work” when we met up with them for their engagement photos. We love it when couples show this kind of connection with each other. 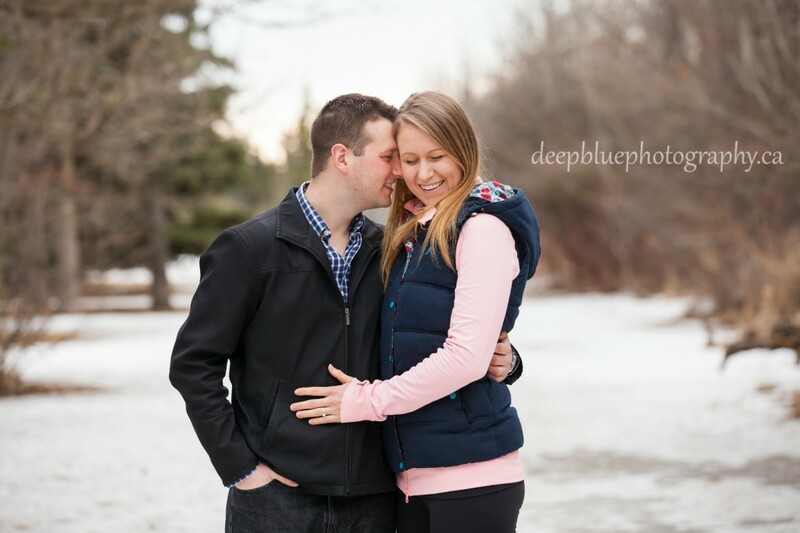 It is a relaxed, playful and intimate kind of interaction that we are lucky enough to capture. These photos are what we are all about. Well, that and dogs. 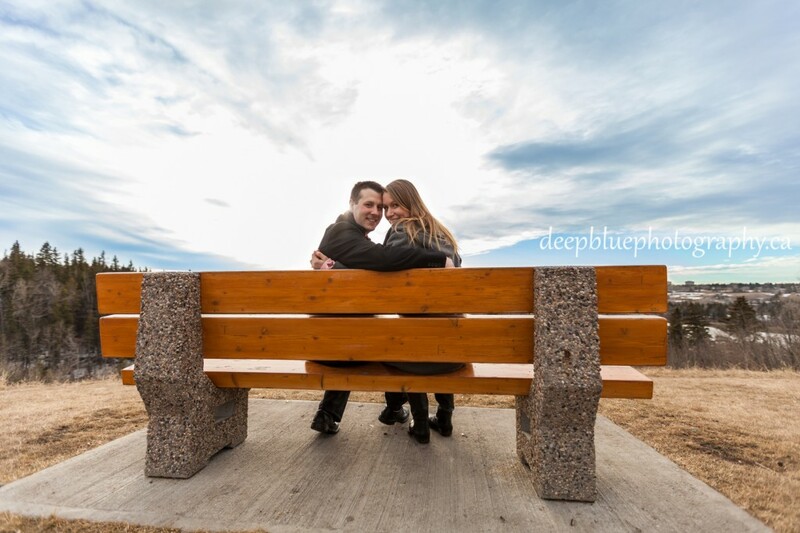 The engagement session was full of smiles, hugs and good times. It was a great precursor to their amazing wedding in Jamaica!